Reiki is an alternative therapy that aids the body's natural healing process. It focuses on the "life force energy" that flows through us and causes us to be alive. If a person's "life force energy" is low, then they are more likely to get sick or in the case of runners, get injured. If our "life force energy" is high, then we are more capable of feeling happy and healthy. Reiki balances and heals the energy in the body. Reiki is holistic healing so it will go where it is needed most. Reiki treats the whole person as its healing energy works on four levels: physically, emotionally, mentally and spiritually creating many beneficial effects. It has been effective in helping virtually every known illness and has been scientifically shown to decrease pain levels, speed healing and relax the mind and body. A Reiki treatment can be provided in person or by distance and both are equally effective. "Reiki is one of the leading safe Energy Medicine approaches." A simple scientific explanation to describe how Reiki works is that it converts negative energy to positive energy. Most injuries, illnesses and diseases stem from our emotions, which create negative energy in our bodies. Reiki is a very gentle but powerful form of healing. It can heal all parts of the body without any side effects. The proof is in the results. That is why its use in hospitals is increasing and "patients love it" as stated in this article: Reiki in the Clinical Setting is On the Rise. Sometimes we have injuries or illnesses that are take a long time to heal. This is often caused by low energy levels. Reiki's healing energy can stimulate the body's healing process. 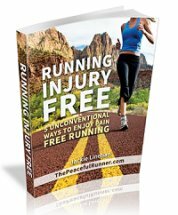 "I tried Reiki for Runners in the hopes of healing a foot injury (that was not improving) and getting back to running. I admit I was skeptical. During the sessions I experienced a tingling, pins and needles feeling with deep warmth from the ball of my foot all the way into the calf. It has helped to speed healing and improve function - getting me back out there and moving again. 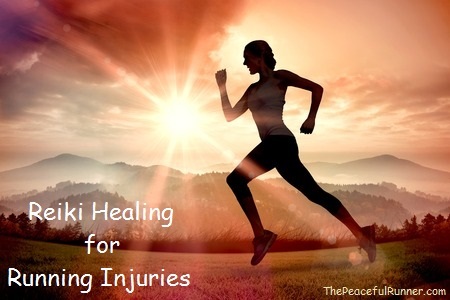 I highly recommend Reiki for Runners to all struggling with injury." -- Christy A, Dallas, U.S.A.
During a Reiki treatment you may experience warmth or heat, tingles, twitching, a floating sensation, heaviness, sleepiness, peacefulness or deep relaxation. Experiences differ from person to person and also from session to session but there is always a beneficial effect. Sometimes conditions appear worse for a short period of time after a session. This is a sign of healing as the condition is being brought to the surface where it can be healed and released. Distant Reiki sessions last 30 minutes and can be scheduled at a time that is most convenient for you. During the session, it is best if you are lying down in a quiet place where you won't be disturbed. Aja of Flaunt Performance experienced a distant Reiki session with Jackie. She then recorded a podcast about her experience. Listen in to hear what Aja experienced during the distant Reiki Session. Read more about How Does Distant Reiki Work? Read more about the benefits of Reiki for Runners on Run Scoop. "I enjoyed my Reiki session with Jackie. It was really relaxing and beneficial. I had arrived from a long flight in the morning and I had ear pain in both ears all day. After my Reiki session in the evening, my ear pain was gone and I felt great!" Book a Distant Reiki Session Now! You can book a Distant Reiki session with me (Jackie) risk free. If you are not happy with your first Distant Reiki experience, I will refund your money immediately. I will provide a written report of your session and I offer a free follow-up service. After your session, I am available to discuss your Reiki experience and answer any questions you may have. One Reiki distance session cost $35 USD. Payment may be made using your Paypal account or your credit or debit card. To start the booking process for your Reiki Healing session(s), please complete the Reiki Order Form. Online special - Book a Free Consultation for Reiki! Jacqueline (Jackie) Linehan is registered with CNHC (The Complementary and Natural Healthcare Council) and has achieved certification as a Reiki Master, a Professional Reiki Practitioner and a ReikiScience Certified Practitioner. She has completed Reiki Level I, Level II, Level III (Master), Professional Reiki Practitioner, ReikiScience Certification and Intuitive Reiki courses at the Reiki Academy London. She continues to enhance her Reiki skills at the Academy and she has a local Reiki practice in Beckenham, England. If you like this page, please share it below. Have you had a Reiki Session with Jackie? We would love to hear about your experience. Tell us how it felt during the session and about how it may have helped you physically or in any other aspect of your life.